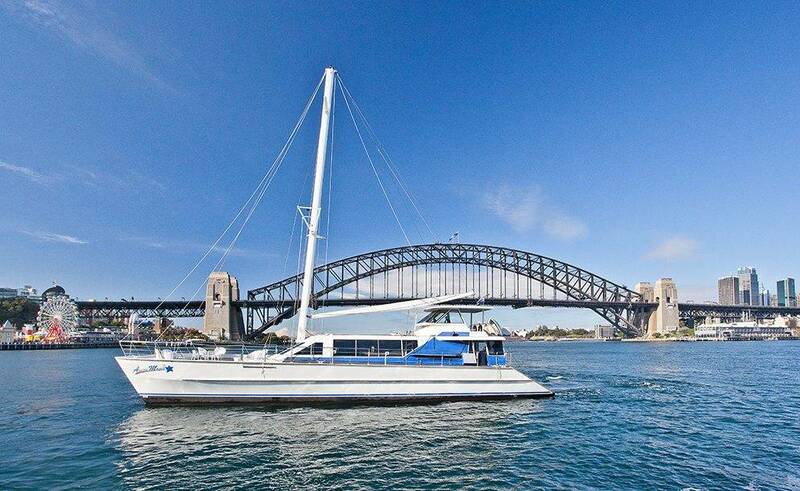 For an enchanting and truly special experience, you’ll find the Aussie Magic lives up to her name. 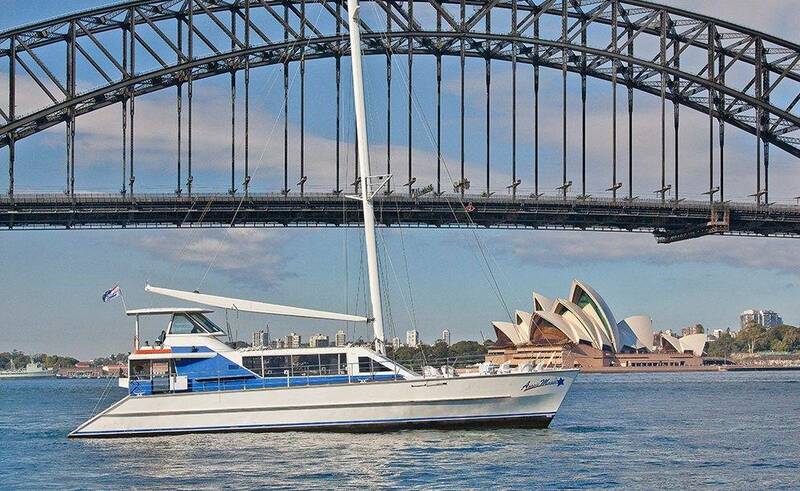 Why choose a run of the mill function room on shore with one outlook, when you could have panoramic views of the Harbour on the entrancing Aussie Magic? 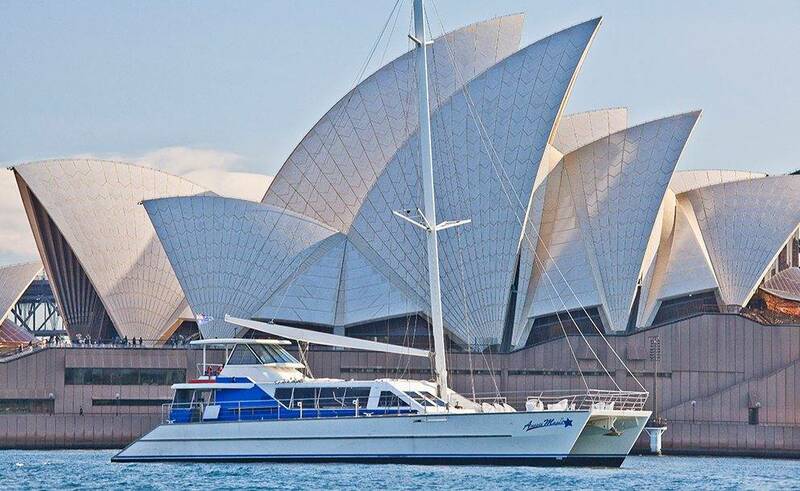 With this 85′ catamaran you have the choice of smooth cruising with the engine on or hoisting the sails for the exhilaration of a downwind run. Feel the irresistible call of the sea as the spray flies up, the clouds race by and your senses come alive. 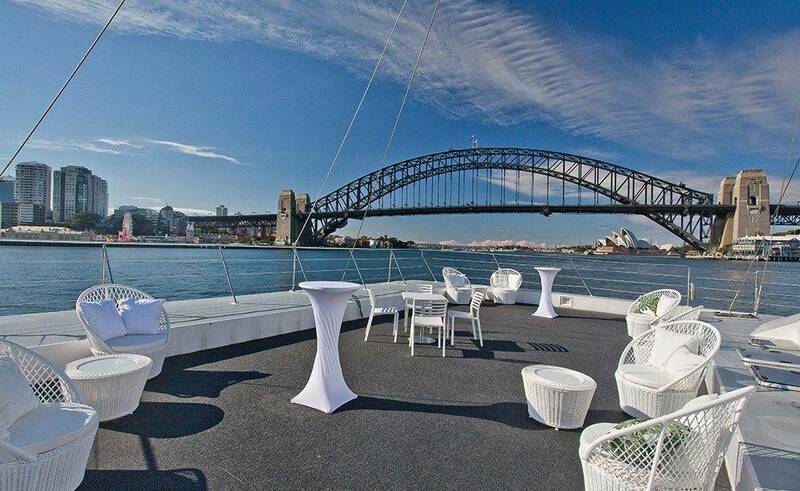 Newly refurbished, she boasts high-end fixtures and fittings throughout to enhance your cruise experience. 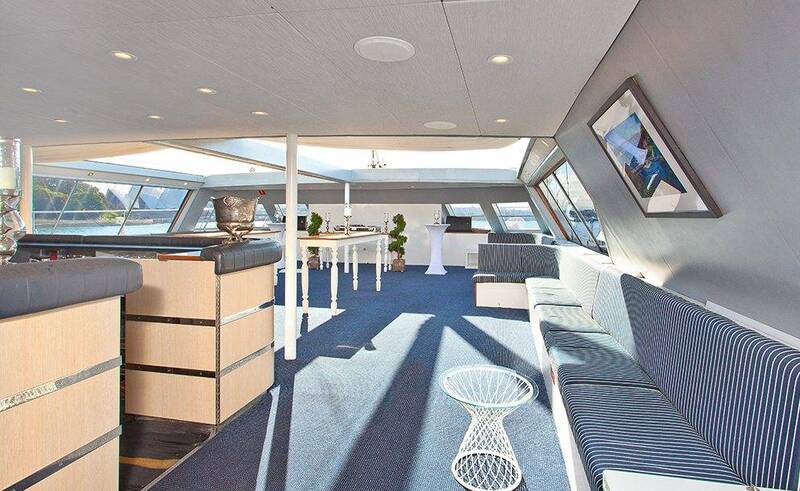 With her impressive foredeck, generous and fully air-conditioned internal entertaining space with dance floor and three separate bars. Aussie Magic is perfect for larger functions such as weddings, Christmas parties, fashion shows or corporate events. 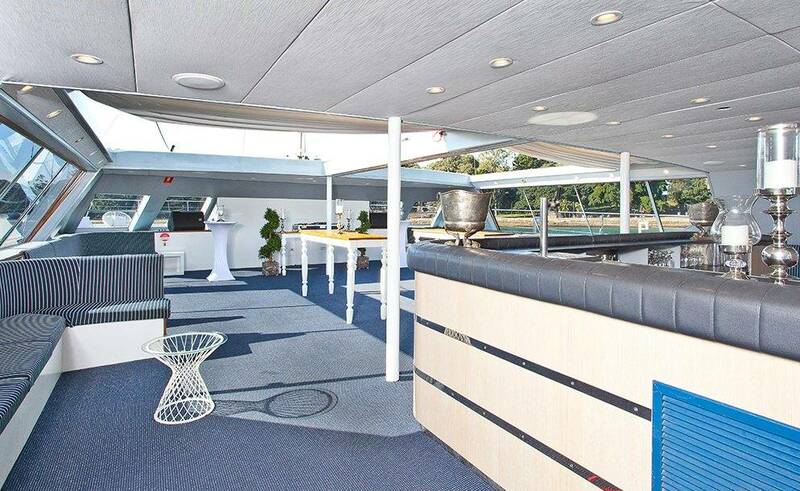 Equipped with a state of the art sound system, 4 high definition plasma screens, a cordless microphone and top end PA system, she can accommodate all your entertainment needs. Why not hire a DJ or a disco? So, she has the capacity for up to 150 guests for cocktails and canapes or buffet parties. Around 80 guests for a more formal seated dinner. 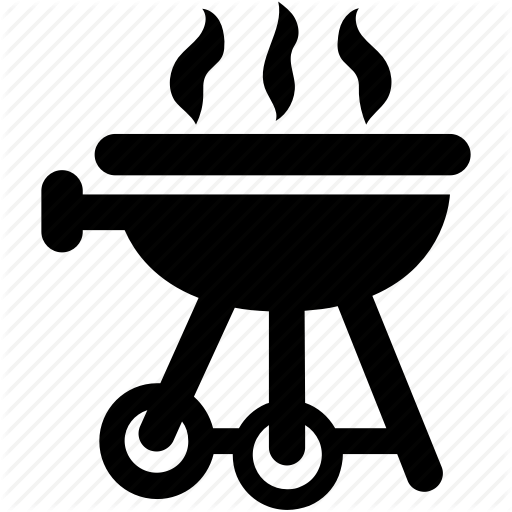 There is also a BBQ, an ice maker and a fully equipped galley kitchen. So allowing for a bring your own option. Also, her luxurious principal stateroom has the great advantage of a retractable sunroof. So you can make the most of a sunny day or enjoy the night air under a canopy of stars. Her 3-metre high wrap around windows create a light and airy internal space and provide awe-inspiring views. Resistance is futile… surrender and let the Aussie Magic cast her unique spell over you. She will transport your event to a whole new dimension!